Meditation can bring such clarity of mind however, many people feel that ‘don’t know how to meditate’, or they don’t have time to add something more to their busy day yet there is a simple time efficient process that once mastered and can offer insight to many challenges experienced in life. Meditation reduces ‘neuronal’ gossip, those inner thoughts of fear, anxiety and worry and increases activity in the left-prefrontal lobe that is associated with happiness, compassion, joy and curiosity. The goal of meditation is to quiet your mind, eventually reaching a higher level of awareness and inner calm. Meditation can be as little as 5 to 10 minutes or as long as one feels appropriate, and can be conducted anywhere at any time. Some people need the assistance of private meditation sessions to help them with their meditation practice as they experience difficulty in achieving a sense of tranquillity and peace. Here at the Mind, Body & Spirit Centre, Susan Skyring offers half hour private meditation development sessions focusing on accessing the inner stillness. 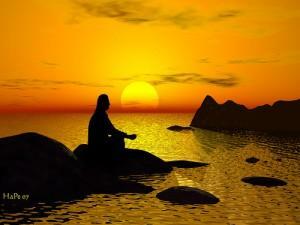 Once embraced this type of meditation becomes a natural daily life experience improving intuition and clarity of mind. For bookings, please Susan Skyring : Ph 0417 730 313.